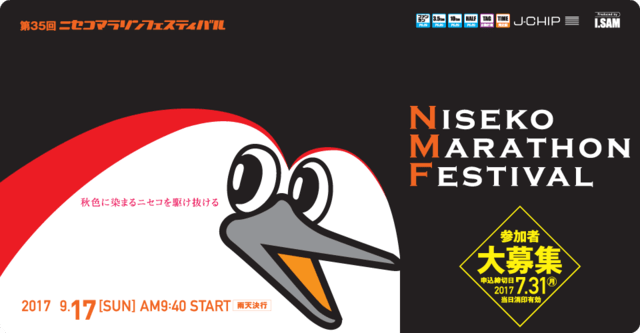 The 35th Niseko Marathon Festival is now open for applications! This is one of the most beloved events for Niseko locals. Participants can enter as individuals or families! Join us for this fun autumn event! Starting times for each course are listed below. Please be sure to arrive at the event grounds at least an hour before your race. Prizes: Top 6 runners in each category. All participants will receive a commemorative Niseko Marathon T-Shirt, onsen coupons and other gifts. Online & smart phone applications can be made via RUNNET. *Please be sure to arrive at the event grounds at least an hour before your race.